2018 is the European Year of Cultural Heritage. 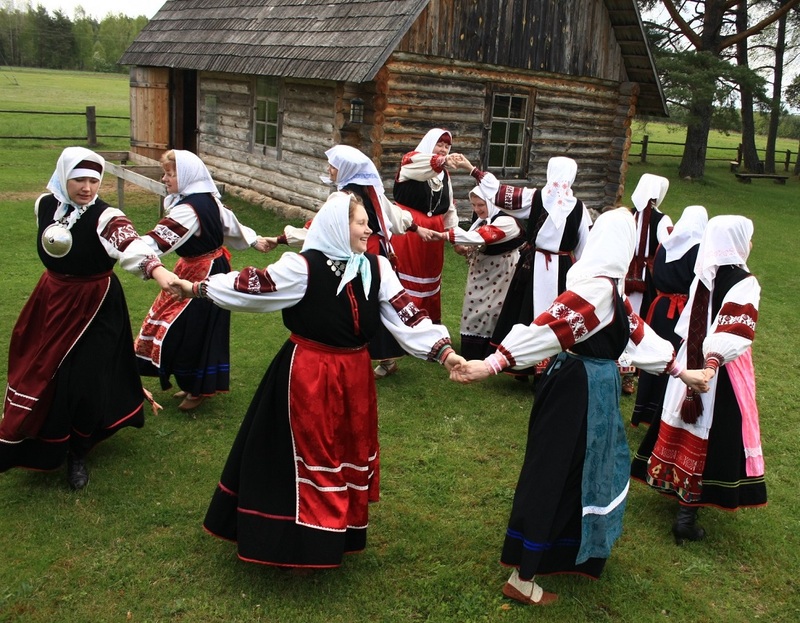 The UNESCO World Heritage List includes several traditions from Estonia, including the Seto polyphonic singing culture (leelo). Seto leelo choir Verska naase’ who will perform at the Budapest A Cappella Festival and at Sambucus Festival in Zsámbék is one of the most authentic interpreters of leelo. The concert in Budapest is part of the programme of the festival “Cultural Heritage Month” organized by the Hungarian Cluster of EUNIC. Hangvető and Várkert Bazár are organizing the Budapest A Cappella Festival for the fourth time already. The focus of the festival is music that consists only of singing without any accompanying instruments. The traditional, sacral, pop and jazzy side of the genre will be introduced. The second day of the festival focuses on the traditional folk music in all its diversity: when Verska naase’ from Southeastern Estonia represent the authentic Seto polyphonic singing culture then the Sardinian choir Actores Alidos includes the characteristics of contemporary music in its performance, and the Austrian Halsmusik places the folk songs of different peoples into a completely new musical context. Verska naase ‘(Värska women) was founded in 2008 with the aim of reviving the Seto polyphonic singing culture. More than 2000 years old leelo is part of the UNESCO World Heritage List and is one of the carriers of the local identity. The choir’s repertoire features songs from all walks of life. The members of the choir have learned songs of the local Mothers of Song but also Seto dances and instrument playing and they have participated in many Seto celebrations. The older Seto polyphonic singing tradition is learned based on the archival recordings (the teacher is folklorist Janika Oras), but also from the ancestors and elderly leelo women. Värska women’s leelo choir has represented Setomaa at local events, elsewhere in Estonia and abroad. One of the most memorable experiences was the concert series of legend songs with ensemble Vox Clamantis. The performance of the choir is supported by the Cultural Endowment of Estonia.